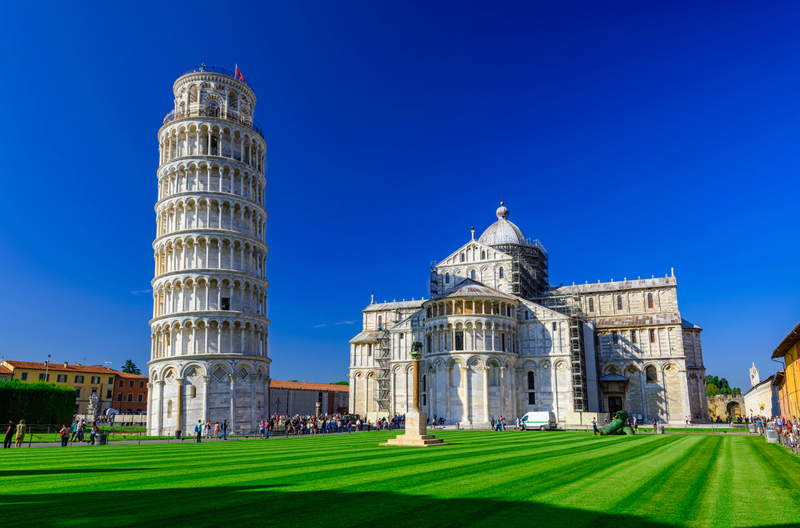 If you play a game of word association and say ‘Pisa’, chances are the first thing you hear back will be ‘Leaning Tower’. While its famed building is certainly a wonderful sight to see – and you shouldn’t skip it – there’s way, way more to this incredible Italian city than a single piece of wonky architecture. Pisa’s long, storied history explains the plethora of wonderful buildings here. It’s a place that made its fortune as a maritime republic the equal of Venice, and has continued on as a famous seat of education since the 15th century. The buildings span Roman, Gothic and Renaissance eras, lovingly maintained and some of them even, well, straight. The Leaning Tower doesn’t disappoint, and it’s been the main driver of tourism to the city for decades. It sits in the Piazza del Miracoli – also known as the field or square of miracles ­– a stunning congregation of awe-inspiring buildings. 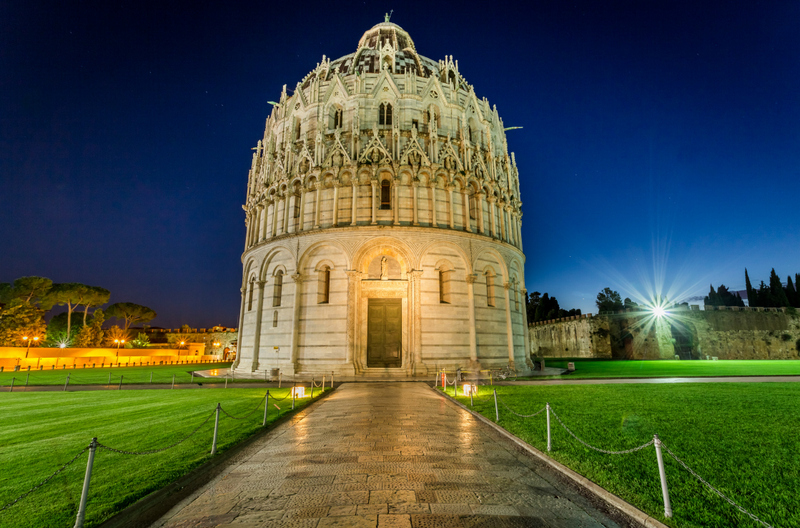 At this UNESCO World Heritage Site, you’ll also find the monumental cemetery, the Baptistery and Pisa Cathedral living cheek by jowl with the tower. The other three buildings represent the stages of birth, life and death, and the Baptistery may be the most arresting of them all. It sits like a giant gilded crown in front of the Cathedral, started in the 12th century and only finished in the 14th. The interior is ornate but restrained, and you’ll find incredible acoustics inside. The Leaning Tower is once again open to the public, and advance booking is recommended. Perhaps it’s fitting that one of the happiest accidents of construction in world history has an anonymous architect. Less ostentatious but also worth seeking out is the Palazzo Blu. Built in the 14th century and carefully restored, its blue frontage stands out a mile even in some exalted company. It packs a lot into a little space – archaeological ruins in the cellar, the restored splendour of the palace on the first floor and an intriguing Pisan art collection on the second. 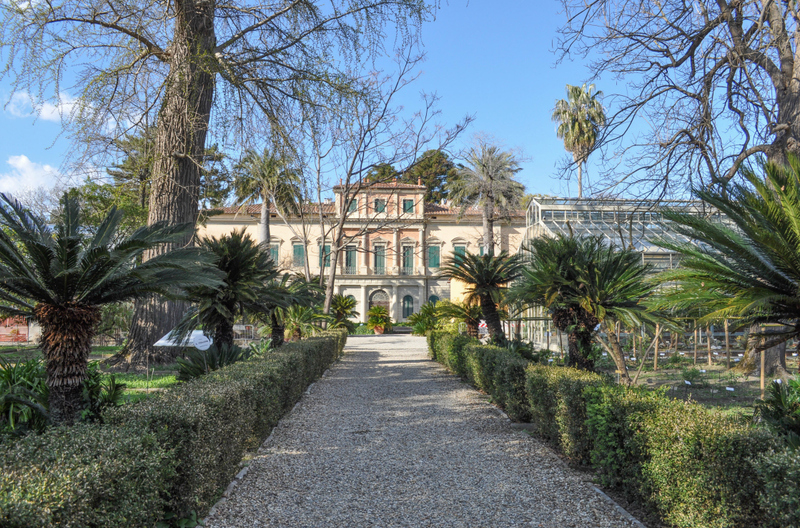 The very first botanical garden of its kind, the Orto Botanico di Pisa was established in 1544 under the influence of the Cosimo I de’ Medici, the first ever Grand Duke of Tuscany. Pieced together by Imola’s Luca Ghini, a famed botanist, it’s been home to rare plants and herbs ever since. The whole kit and caboodle was uprooted twice, before settling down in its current location as part of the ancient university in 1591. It’s not just for the green-fingered – there’s a superb Pharaonic collection of Egyptian artefacts too. As you can see, there’s plenty more to see in Pisa than just a skewed tower. The deep history of the city shines through in its preserved buildings, and it’s also a great place to explore the world of Italian art, food and culture. Car hire in Pisa gives you the freedom of the city and the rolling hills of Tuscany beyond its outer edges.